Most of us have had zucchini in salads or perhaps fried. 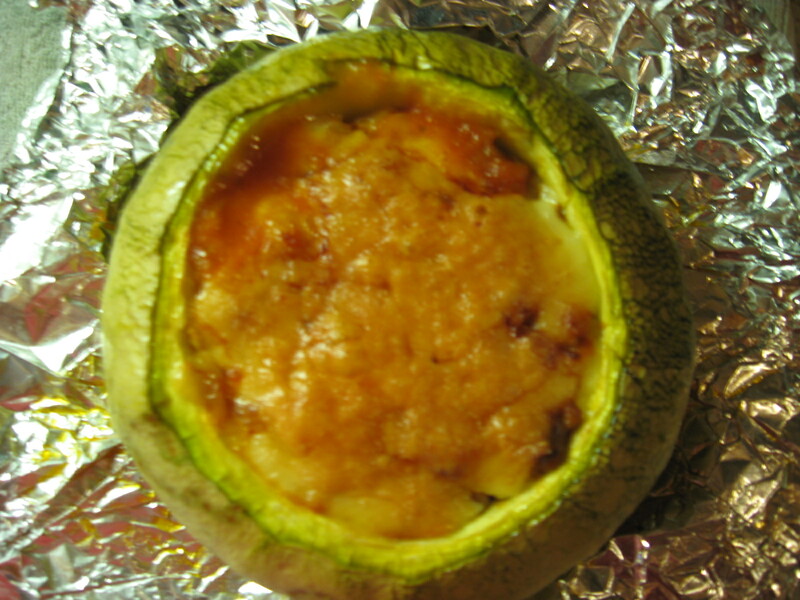 Here’s a new twist for the adventurous: Baked Zucchini With Luganica And Cheese. You can use a traditional large zucchini or, as I prefer, the large round version. 1. 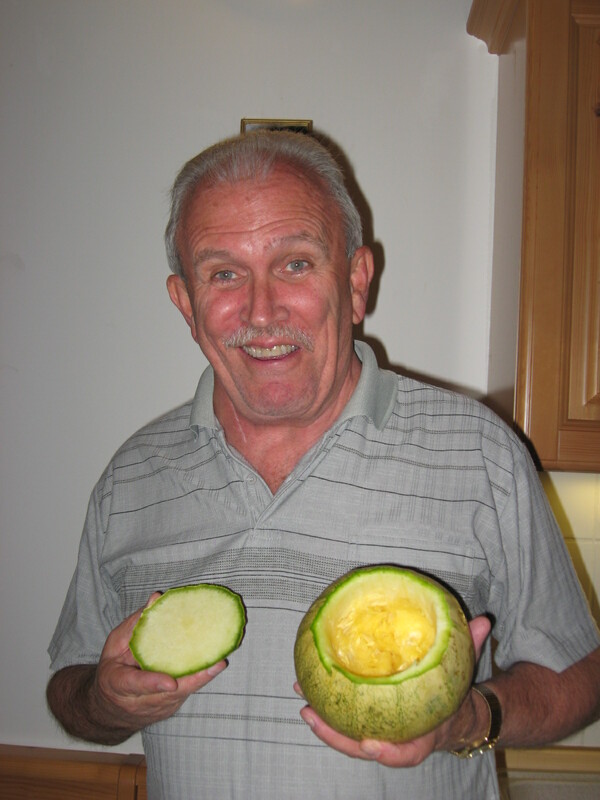 Cut the top of a large round zucchini as you would with a Halloween pumpkin. Discard the top. If you are using a standard zucchini, cut it in half lengthwise. 2. Scoop out the pulp and the seeds. Discard the seeds and put the pulp aside in a bowl. 3. Pre-heat your oven to 325 degrees Fahrenheit (177 degrees Celsius). 4. 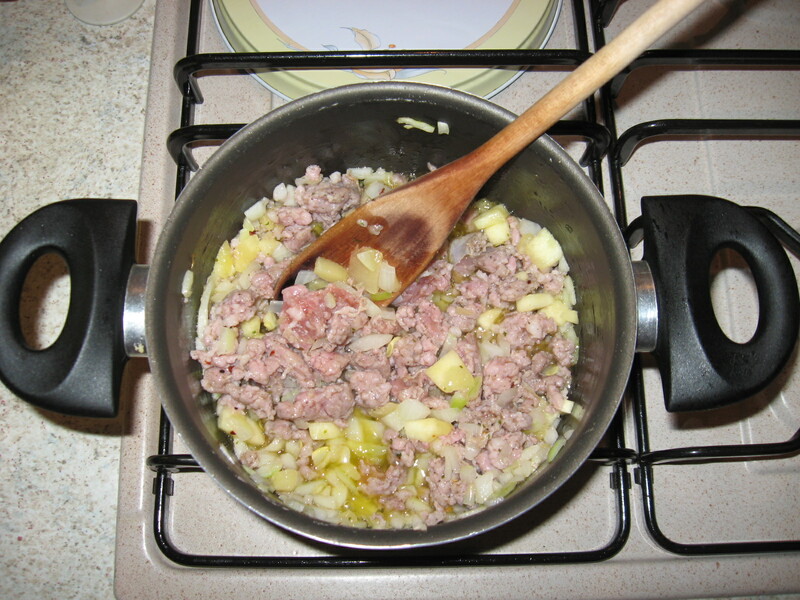 Pre-cook one large luganica or other sausage with a little garlic and olive oil. Add salt and pepper to taste. 5. 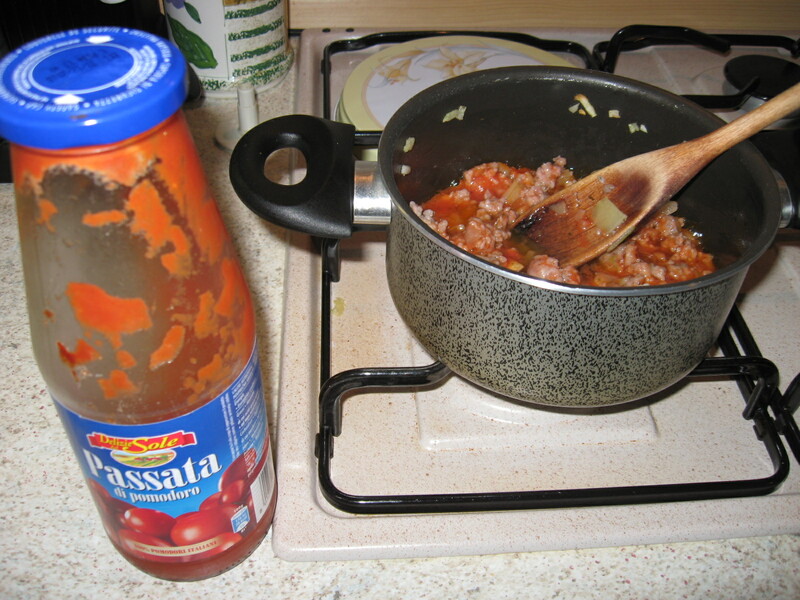 Mix the cooked sausage with the finely cut pulp and a little passata (tomato purée) and stuff the mixture into the zucchini cavity. 6. Add a layer of hard cheese (Grana Trentino or Parmesan) to the top. 7. 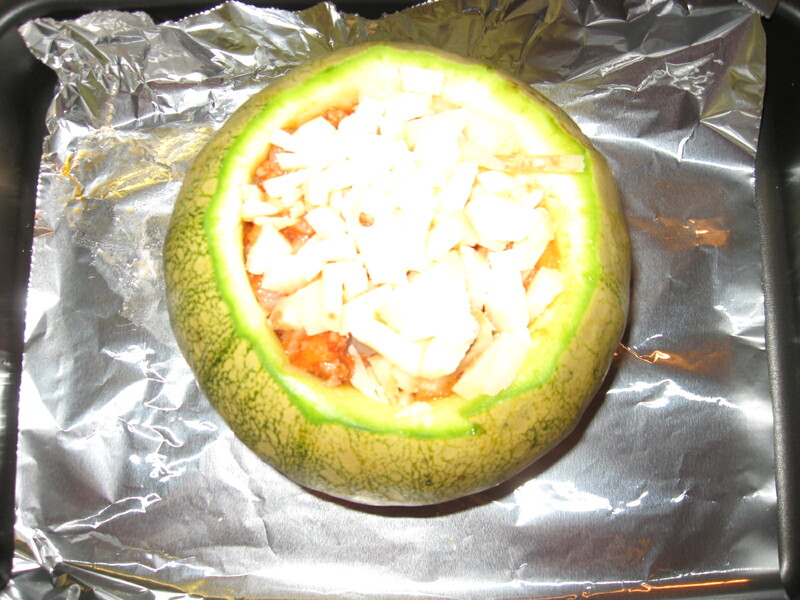 Bake for 30 to 40 minutes or until the zucchini is tender. 8. Serve in cut pieces and enjoy!